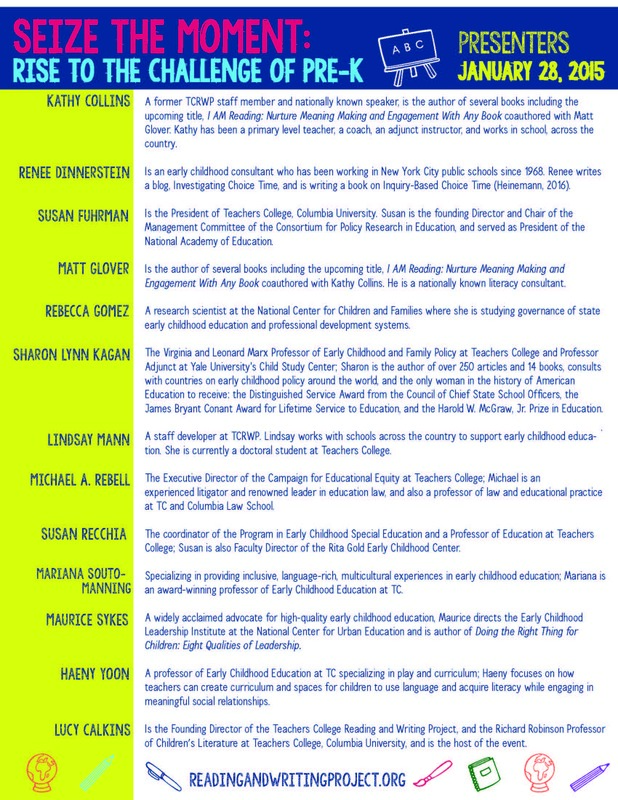 I LOOKED TO SEE WHICH EARLY CHILDHOOD TEACHERS WERE PRESENTING FROM THEIR CLASSROOM EXPERIENCE. I WAS DISAPPOINTED TO SEE THERE WERE NONE. 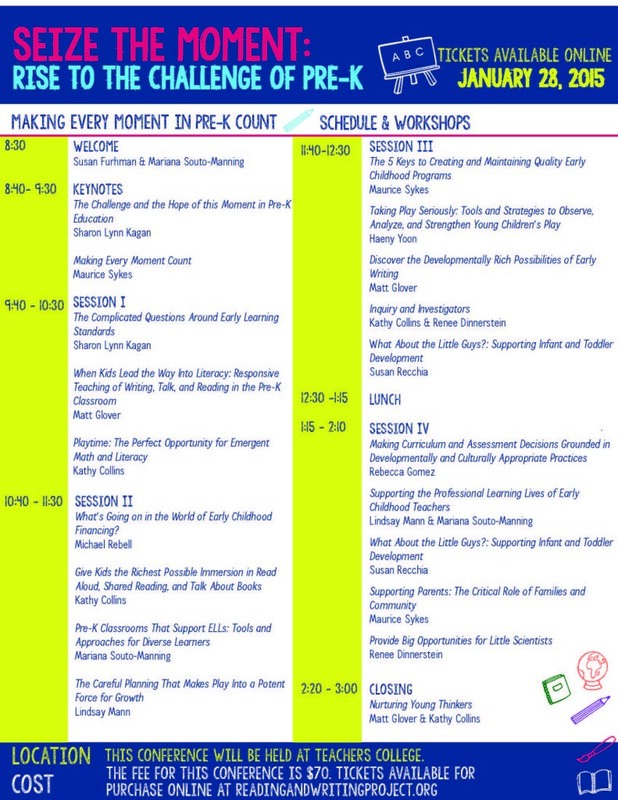 SURELY THERE ARE CURRENT CLASSROOM TEACHERS WHO ARE WILLING AND ABLE TO BE PRESENTERS AT THIS CONFERENCE. I’m not too sure about the experiences of the other presenters. I taught pre-k for 12 years although I’ve been out of the classroom and doing consulting work since 2003. I didn’t include that in my bio. Perhaps that should have been included. Maybe some of the others also have had pre-k experience.